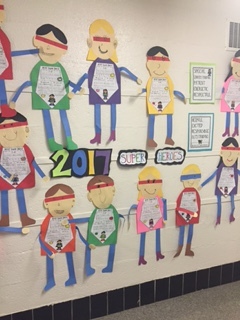 Mrs. Brinkman's Blog: New Year's Super Heroes! 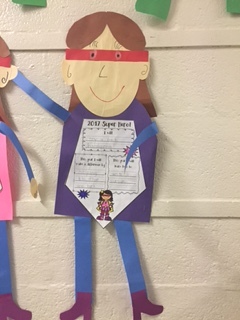 We kicked off the New Year with a little super heroes activity. 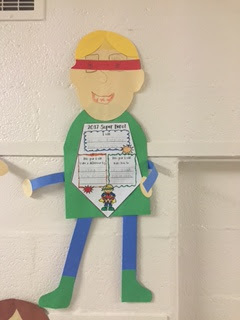 For this project, we talked about attitudes and mindset and how we positively impact others and make a difference by improving our own behaviors and attitude. The beauty of this discussion is realizing we can make a difference by opening our hearts to make life better for someone else. I will be nicer to my baby brother. 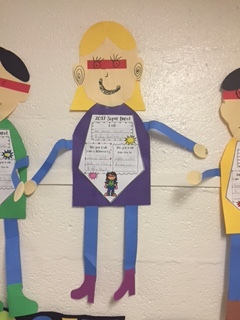 This year I will make a difference by playing with kids on the buddy bench. I will help my dad make a treehouse. This year I will make a difference by giving people food. I will try to keep my room cleaner. This year I will make a difference by making new friends. I will try a back handspring. 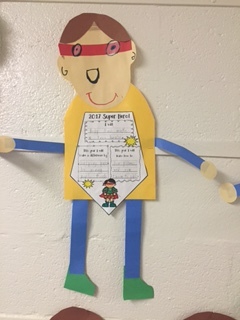 This year I will make a difference by helping kids who are hurt.